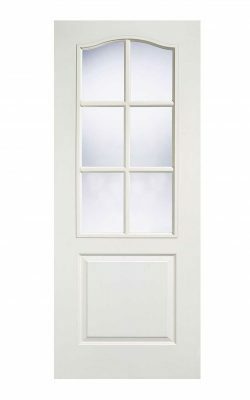 A composite door with six clear glazed lights in this classic French design. Bold mouldings create an aristocratic sophisticated look. Available as a solid FD30 Fire Door.